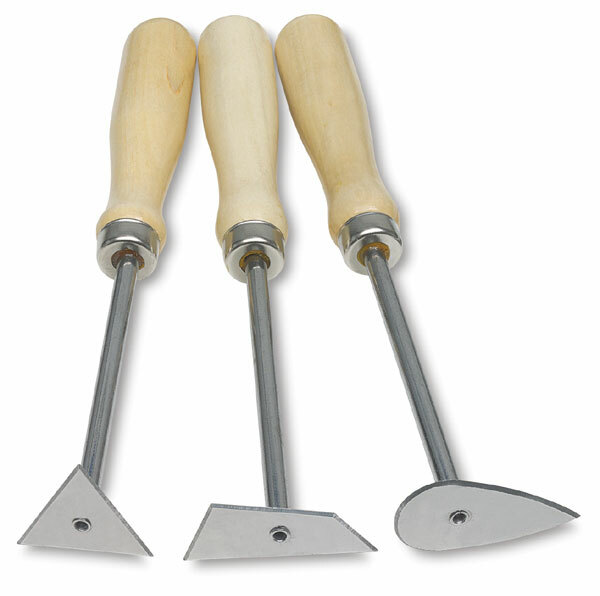 Turn down clay on the wheel with these steel tools. Add stunning detail to your next clay project. Each set includes three tools in teardrop, triangle, and box shapes. Each tool has an 8" long wood handle to provide superb control.